Google Analytics is where your performance gets measured and reported on. You may already use Google Analytics to monitor your website’s performance. Now, it will help you connect the dots between ad campaign performance (reported in AdWords) and the ultimate end result you’re looking for (i.e. conversions or orders). Finally, your product feed and other settings for Google Shopping live in your Google Merchant Center Product names, images, and all the other details your Google Shopping ads will pull in come from here — as well as tax, shipping, and other related settings. For our purposes today, we’ll assume you have both AdWords and Analytics accounts configured to work with your website already. 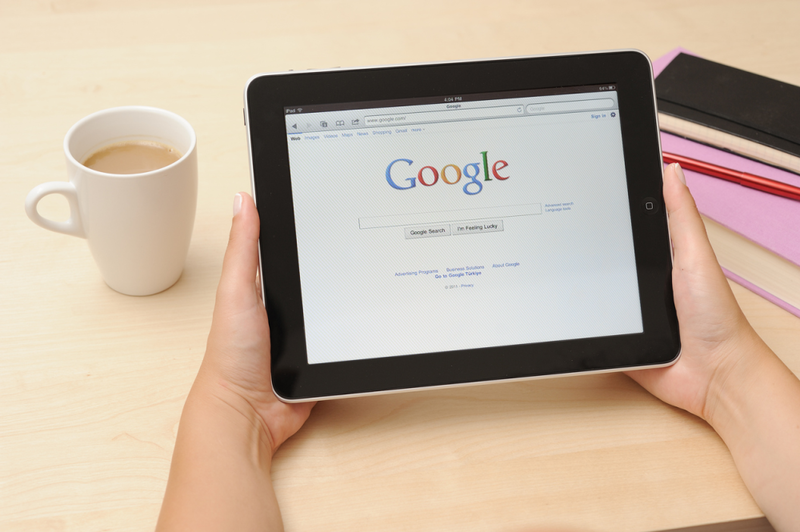 To set up your Merchant account, head on over to Google’s Merchant Center page and click Sign Up. Once you’re redirected, fill out the information, select your preferences, and follow the prompts to complete signup. Give Google access to your domain. Google needs to know which website you want to connect and confirm that you own it. The quickest way to do this is to log into your domain registrar (this might be GoDaddy, 1and1, or somewhere else). When you sign up for Merchant Center, you’ll be prompted to log into your domain registrar and give Google access. Set your tax and shipping settings. Once you’ve created your account, head into General Settings to set your tax and shipping preferences. If you know your tax rates, you can enter those directly. If not, just select the states you ship to and Google will take care of the rest. For shipping, you have a few options — you can set one, flat shipping rate for all orders, create a rate table to determine shipping for each item, or pull in carrier information from your shipping partner(s). Pro tip: It’s best to use the same email that has admin access to your AdWords and Analytics accounts, to simplify login and switching from one account to the other. Now that you have all the accounts you’ll need to run Google Shopping ads, it’s time to link them all together. By linking your accounts, you enable Google Merchant Center, AdWords, and Analytics to work together to run, and report on, your paid campaigns. Getting your accounts to work together streamlines your advertising campaigns and makes it easier to gauge your performance and make adjustments as needed — and it only takes a few quick steps. From your Merchant Center account, head to Settings and select AdWords. Then click on “Link Account.” Input your 10-digit AdWords ID, and that’s it. Your AdWords and Merchant accounts are now connected. In order to measure and improve upon your Google Shopping and other paid campaigns, you’ll connect them with your Google Analytics account. To start, log into your Google AdWords account. Click on the Settings icon in the top right-hand corner and select “Account Settings.” On the left hand sidebar, choose “Linked Accounts” and then Google Analytics. Follow the prompts to connect your AdWords and Analytics accounts. Voilá! All Google Shopping campaigns originate in your Google AdWords account — so, to create one, we’ll start there. Log into AdWords and select the Campaigns tab. Click on the red + Campaign dropdown and choose Shopping campaign. Give your campaign a name. As we’re just launching our first campaign, the name isn’t as important. We recommend being specific, though, because eventually, you’ll likely have several Shopping campaigns running at the same time. Set your campaign priority. Again, this is less important for your first campaign. When you have multiple Shopping campaigns running (particularly with the same products in multiple campaigns), they may both qualify for the same search query. Setting the priority of your campaigns tells Google which ad you’d prefer to use in cases like that. Choose your target location. Where do you want Google to show your ads? It’s important to set your target location because otherwise, Google will show your ads to everyone across the globe — and that’s a really good way to waste away your ad budget. Choose to show your ads to (1) all users globally, (2) the United States and Canada, (3) just the United States, or (4) another location. Here, you can also exclude any locations where you don’t want Google to show your ads. Next, you’ll set your default bid, daily budget, and delivery preferences. Your bid is your cost-per-click — how much money you’re willing to pay for each click on your Shopping ad. Your default bid is something that you’ll optimize as you go and the analytics start pouring in. To start, your initial default bid should be based on the products you’re advertising — their price and your profit margin. For lower priced products, a default bid between $0.10 and $0.50 is a good place to start. On the higher end, keep your bid below $0.85. Don’t agonize too much on the default because you’ll set individual bids for each product later on. Your daily budget is exactly what it sounds like: the maximum amount you want to spend on ads each day. Keep in mind, because of the way PPC advertising works, you may spend up to 20% more than your daily budget, so don’t set the budget at the very top of your price range. The last thing you’ll set for the new campaign is your delivery preference. Google can show your ad, every time a relevant search happens, until the daily budget runs out (even if that happens at 10:00 AM). Or you can choose to have Google optimize your ad spend by spreading it out throughout the day.